You'll be needing this, Pete Sessions, and lots of it, to bind your wounds. 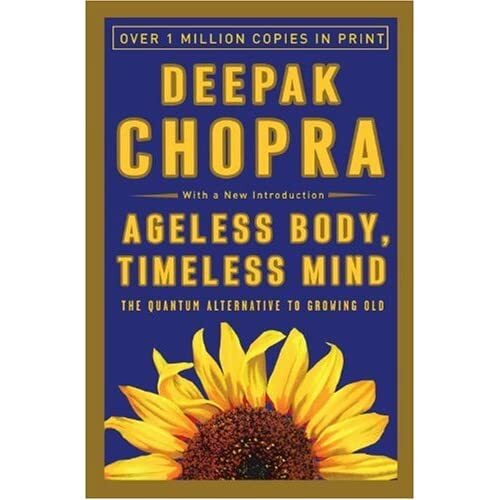 We possess the only nervous system that is aware of the phenomenon of aging. Aging is a mask for the loss of this intelligence. An estimated 6 trillion reactions are taking place in each cell every second. Erwin Schrodinger ended his life believing that the universe was itself a living mind. Someone who doesn’t see the world “out there” as a threat can coexist with the environment, free of the damage created by the stress response. Any time choice seems to be cut off, some form of illusion is operating. If wearing out were the true cause of aging, it would be a good strategy to rest in bed all your life. What makes for a straighter spine, vitamin-D milk of self-esteem? For millions of people, life is so frustrating that their only hope of relieving stress is by overeating and drinking, while whole societies try to escape their miseries by attacking other countries. It has been estimated that 90 percent of the thoughts a person has in a day are a literal repeat of his thoughts of the day before. Government-coerced redistribution is never a good idea, but the worst type of welfare is when poor people are forced to subsidize rich people. That's a good description of TARP, and the politicians who voted for it should breathe a sigh of relief that they are getting bounced out of office instead of tarred and feathered. We get, and deserve, the tyranny we tolerate. We get it because we teach officious government officials that regulating our life is their birthright. More frighteningly, we get it because we teach our children that the role of the government is to regulate our life — thus dashing their chances to be free people.